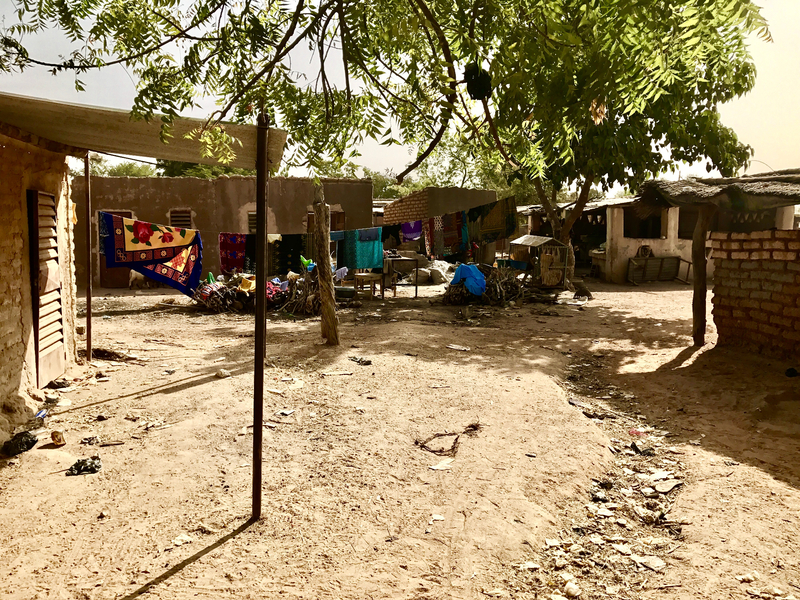 IMPORTANT NOTE: This article is part of a 12-chapter series on my trip to Africa: Burkina Faso was the third country of twelve African nations I visited in December of 2016. It’s best to read the chapters in order, as they build on one another. 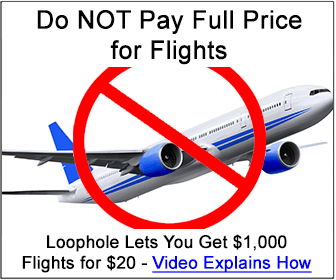 To see countries number one through two, please go HERE. It’s best to read the stories/countries in order. 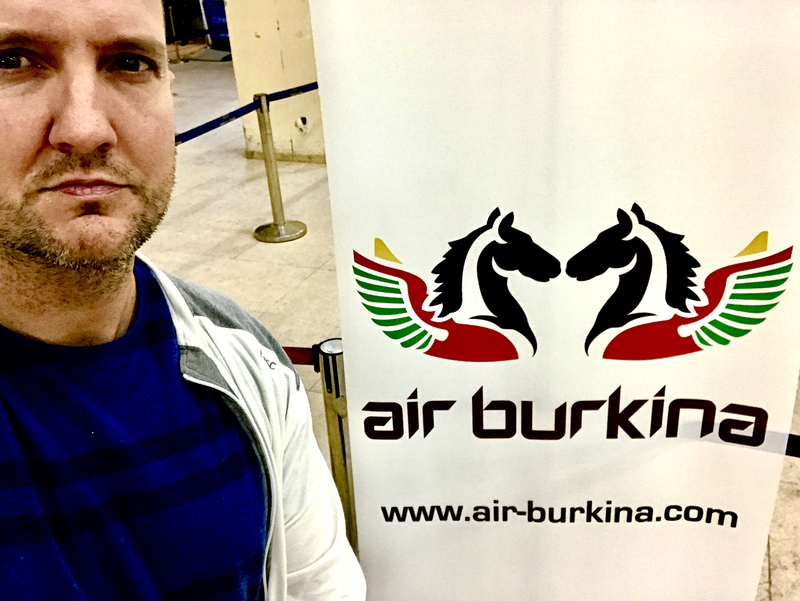 You might be thinking, “There’s a country called Burkina Faso?“ Actually, the only reason I even knew about Burkina Faso—and you may know of it too—was because just last year its capital made the headlines after experiencing one of the largest terrorist attacks in Africa. In January of 2016 Al-Qaeda terrorists stormed the Splendid Hotel, held over 150 hostages and killed 30. Great. And I’m the genius going there. To make it worse, guess where I was staying? Yup, The world famous (not for any good reasons) Splendid Hotel. Was this a death wish? 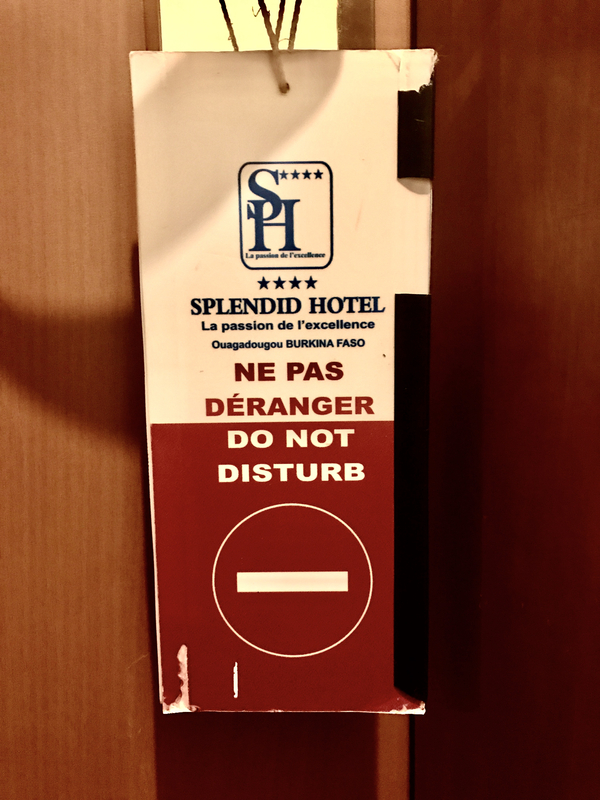 Actually, let me explain my reasoning for booking the Splendid: I figured that chances of a second attack at the same hotel were much smaller, and I assumed security at the property would be beefed up since the attack. “Beefed up a little” was an understatement. I was both surprised and relieved to see not just security guards, but actual military police with automatic weapons standing guard outside the hotel. They were ready! I even had to pass through a metal detector and have my bags searched before entering the premises, as if I was going through an airport. Once inside the hotel, I even witnessed another police officer patrolling the halls with his big gun. While this may of scared some, knowing I was very well-protected—even over-protected—immediately put my mind at ease. Honestly, I felt safer here than I did any American hotel. Have you ever been this guarded at a Holiday Inn? I’m telling you, this terrorist stuff happens everywhere now, regardless of what country you’re in; difference is, they were prepared here. 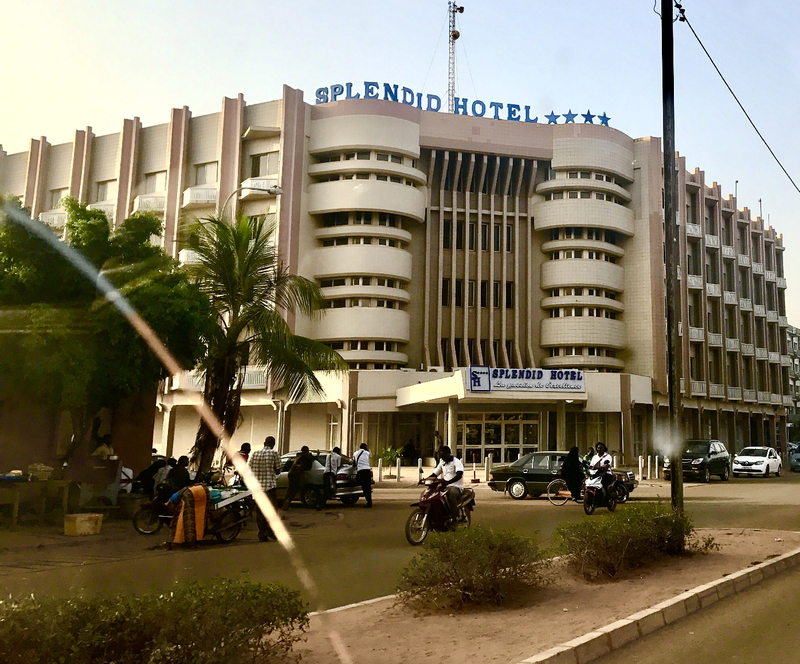 The Splendid Hotel, home of a massive 2016 Al-Qaeda attack…and my choice of lodging while in town. 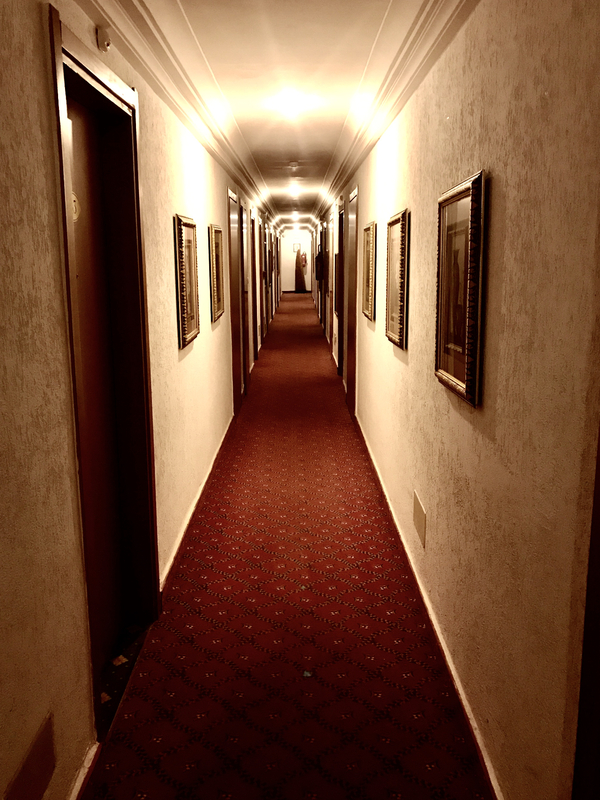 The halls of The Splendid Hotel. Big guns and police guarding the hotel 24/7. I dropped my bags and headed out on my tour with guide Marlon. Marlon was a music teacher from Suriname and we hit it off immediately. He was actually the guy who helped me learn how to pronounce Ouagadougou. He schooled me on the country as we took the highway out of town for 40 minutes or so, before rolling into the village of Bazoulé. 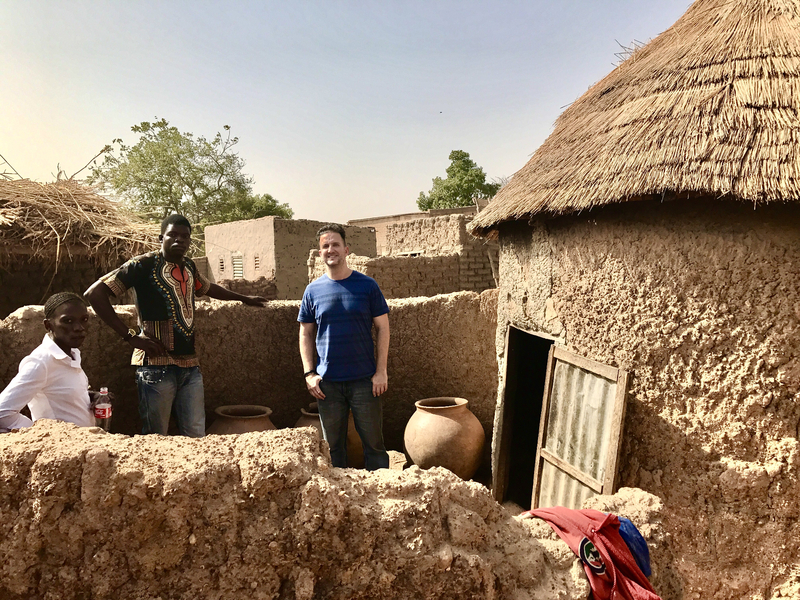 I enjoy the cities, but now I was cruising through a real African village—it was unreal! We pulled up to a lake and met the local village guide, Pierre, who took us on a walk around the water. It wasn’t but about 15 feet until some special natives came to greet us: Crocs!!! 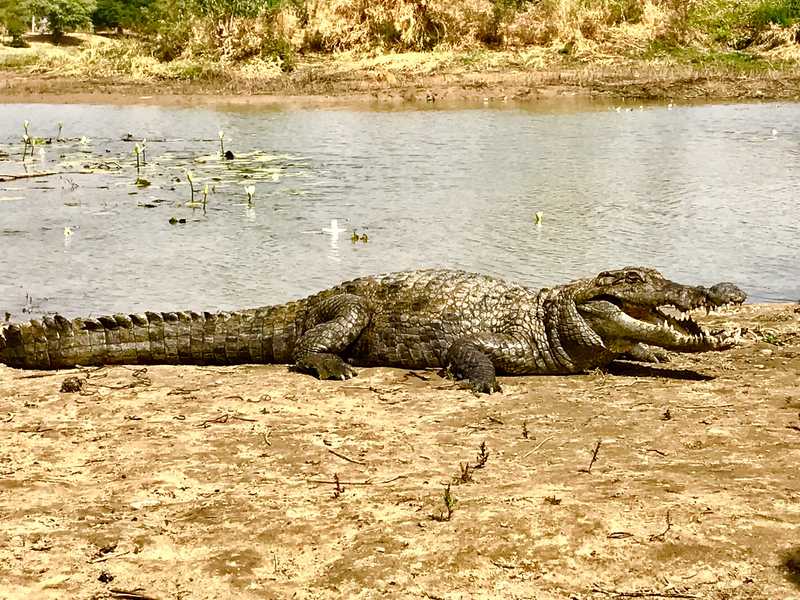 There were crocodiles everywhere: cruising around in the water near the shoreline and roaming the land. This was crazy! My first instinct was that I should get the hell outta there, but Pierre insisted the crocs were friendly. Pierre wasn’t missing any appendages, so I took his word for it. However, I was still on guard and ready to hot foot it outta there should the occasion arise. They were everywhere we turned! We soon arrived at a shaded area in front of the lake, and that’s when the real show began. It was there where I was invited to pose with a giant crock, hold his tail, even sit on him! Hell no! I didn’t even contemplate it!!! I came too far to die from being eaten alive by a crocodile. The staff chuckled at my fear and assured me it was safe, but there was absolutely no convincing me. 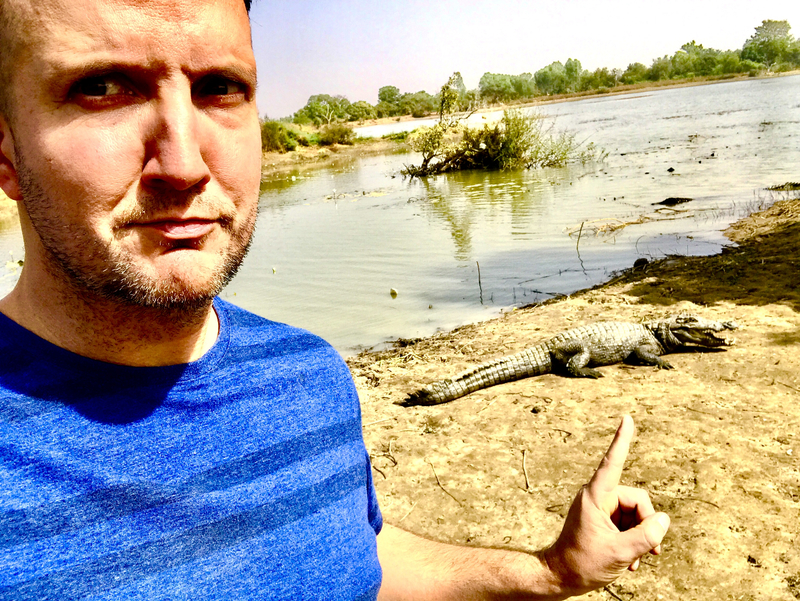 There’s no way I was gonna even get close to Lyle Lyle Crocodile. Hey, if animal expert Steve Irwin can die in seconds, what’s to stop something like that from happening to a joker like me? I could see the headlines already: “Randy gets eaten by crocodile on African safari.” Nope. Not going out like that. The selfie was not worth being a trending topic on twitter. #nowayjose. After our harrowing crocodile experience, we walked for about thirty minutes to arrive at a village. It’s where Pierre lived, and he was happy to show us around. It was surreal—and just how it was shown to me in 5th grade social studies class. It was a real-life National Geographic book, and now, instead of reading it, I was living it. So awesome. 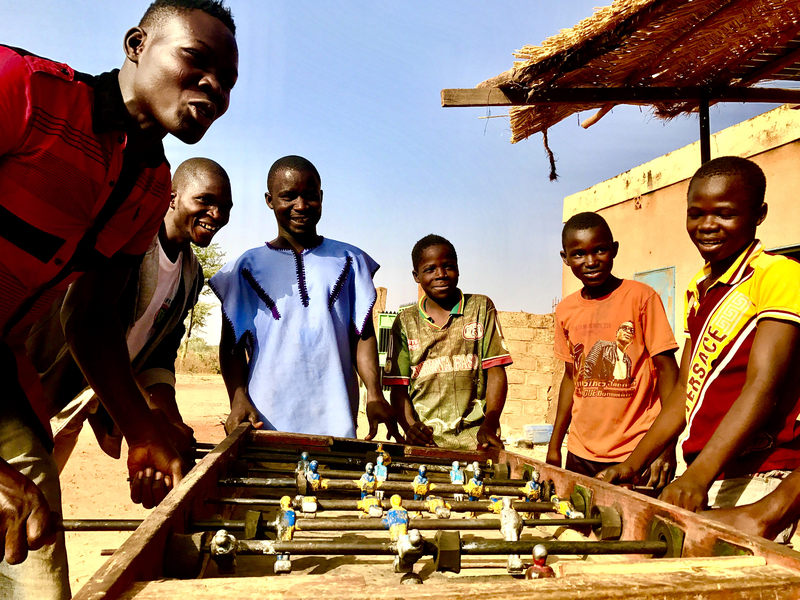 Oddly enough, the highlight of my time in the village was spotting a group of boys playing foosball. The table, made of wood, must have been from the 1940s. I was in awe that it was still in use. 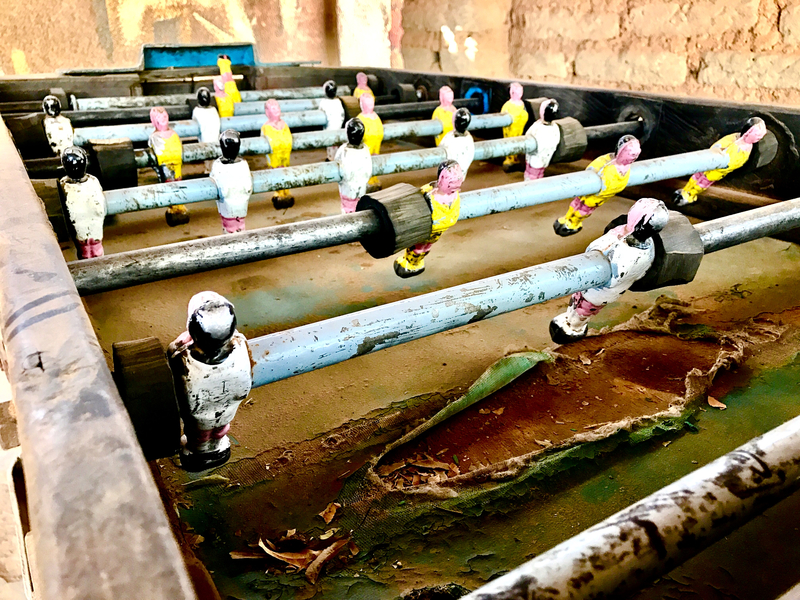 It was the definition of rickety, there were little signs of any paint left on the machine, and the table creaked, cracked and croaked as the boys abused it, knocking around that little ball trying to score. What was most amazing was that it was coin-operated—and that part still worked too! I was amazed when I watched Pierre put a quarter in, turn the crank and 5 little balls dropped out of the slot. Incredible! 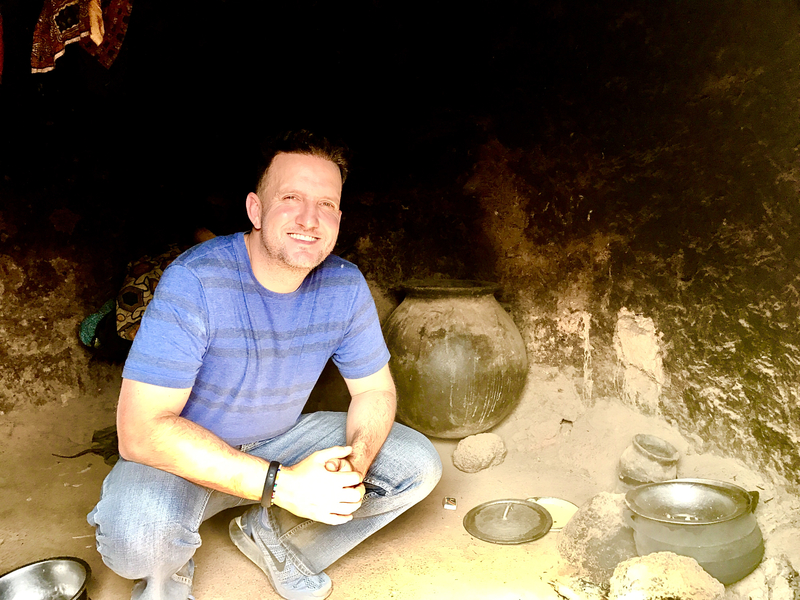 Besides touring living quarters and watching a foosball match, I was able to enter the village store, which was nothing but a dark mud hut with a shelf inside and small products stacked all around: soap, spices, snacks, etc. There were also a couple stands where the women sold various vegetables and spices. No electricity, no windows, doors, signs…just mud, sticks, branches, etc. This was normal life for the folks in Bazoulé and I was in the center of it. I couldn’t believe it! Inside the sisters’ living quarters. You’re looking at the local brewery. Yes, beer! What I will remember most though, were the children. They loved waving and smiling at me. I was a complete stranger, yet they were so happy to see me! They’d wave and holler, and keep at it until I was out of view. Almost all the children did this, every time, and it never got old. While most of the adults either ignored me, slightly smiled, or gave me a subtle “What tha hell you doin’ ‘round here” look; the kids seemed genuinely excited to see me. I wish I could’ve spent more time with them, took pictures…heck, I wished so badly I would’ve brought a bag of toys to pass out! These kids were beautiful and their smiles melted my heart. I will never forget them. I wish I knew the history of this structure. 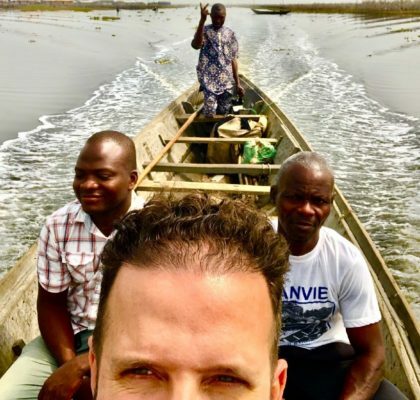 After an awesome couple of hours hanging with the crocodiles and village people, Marlon and I cruised back to the city for a snack at Chez Simon. This was a cool little Lebanese bakery and café located on the city’s main road. We had sodas, ice cream and cake before heading to see a market. Fun fact: Marlon explained to me that most of the bigger restaurants, bakeries and bars were owned by the Lebanese, which I found super interesting. Somewhere along the line the Lebanese surfaced in West Africa and became very successful business people. 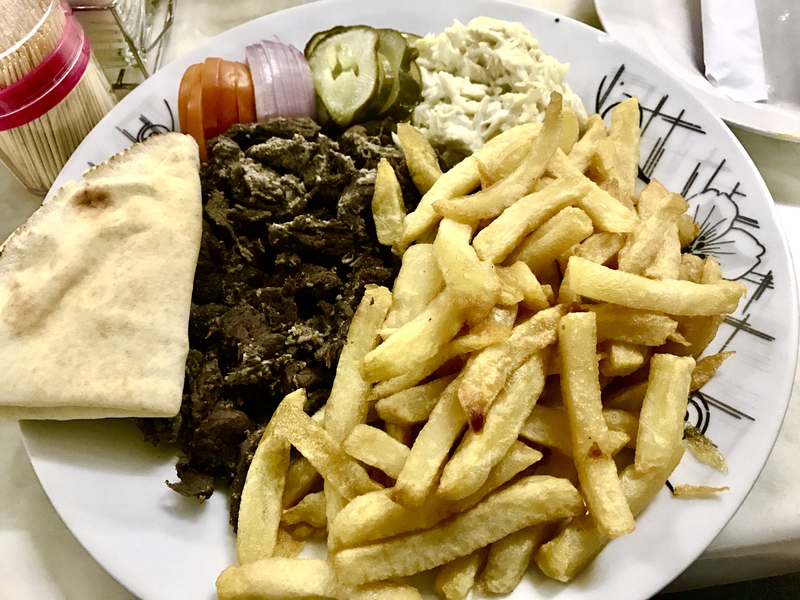 That had explained the abundance of shawarma selections in restaurants I’d seen since entering the continent. 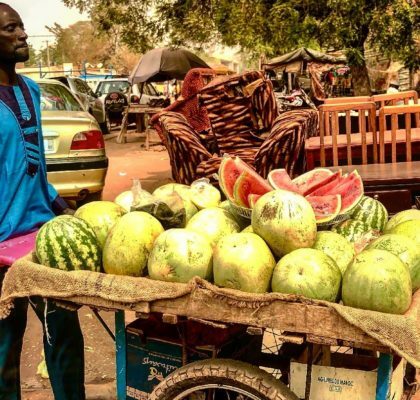 The Lebanese own a ton of successful businesses in West Africa. Marlon also explained that years ago the Chinese had arrived to study the market, and then came back with every product an African could want, from household goods to cheap cell phones. 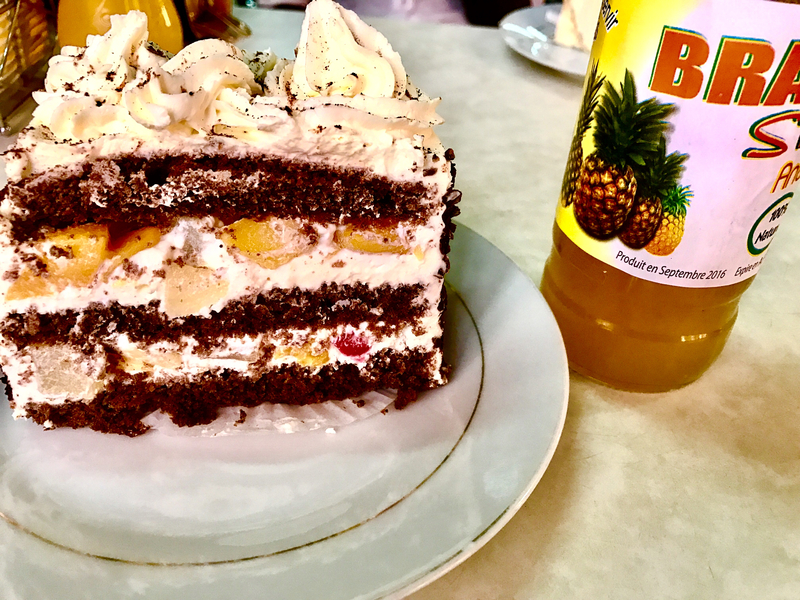 My daily serving of fruit: fruit-filled cake and pineapple soda. We hit the market just before it closed and I got yelled at by a lady for taking a picture—even though I was across the street taking it. Her eagle eye spotted the gringo with the iPhone and she wasn’t having it. Luckily Marlon’s smooth talking defused the situation and he had the lady laughing in no time. 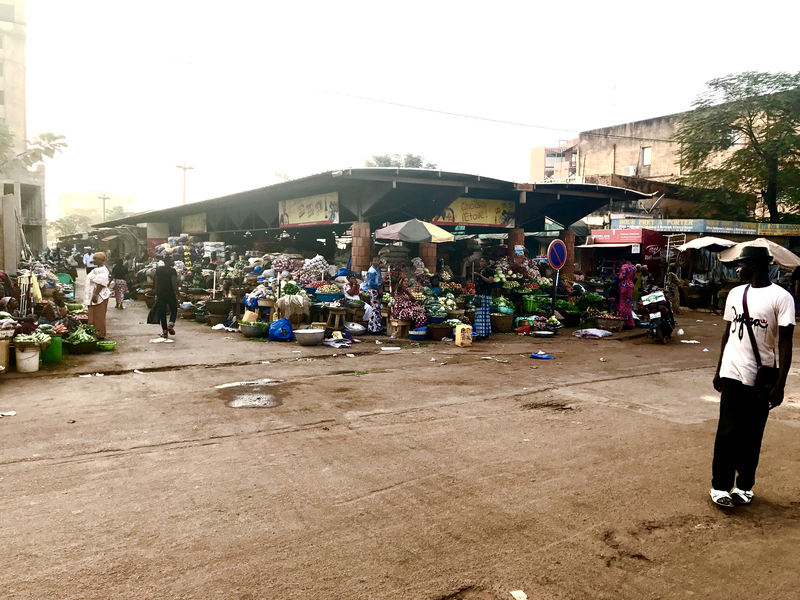 Ougadougou market. Look closely and you’ll see the ladies disapproving of my photo. After a stroll through the market, Marlon dropped me back at my hotel where I chilled for a while before heading back to Chez Simon for a real dinner—though I seriously contemplated having another run at the cake. I had, you guessed it, a shawarma plate and a pineapple soda and then ventured back to my hotel. I couldn’t resist the temptation to stop by an outside local bar called Taxi Brousse. It was poorly lit but the music the DJ was playing was on-point. I chatted it up with a local named Moussa, explaining I was from Brasil (my cover story) and visiting on vacation. He wanted me to come see his roadside store that night, but I promised I’d have a look in the morning. I felt bad lying to him, knowing damn well I had an early flight out and would be in the sky before he even set up his table of wooden carvings, so I bought him a beer to help clear my conscience. A girl named Wyndam took the liberty of sitting with us and asked if I’d be interested in her massage services. She looked like a cross between Rihanna and Dionne Warwick. As for the massage, well, that’s another story for another time. 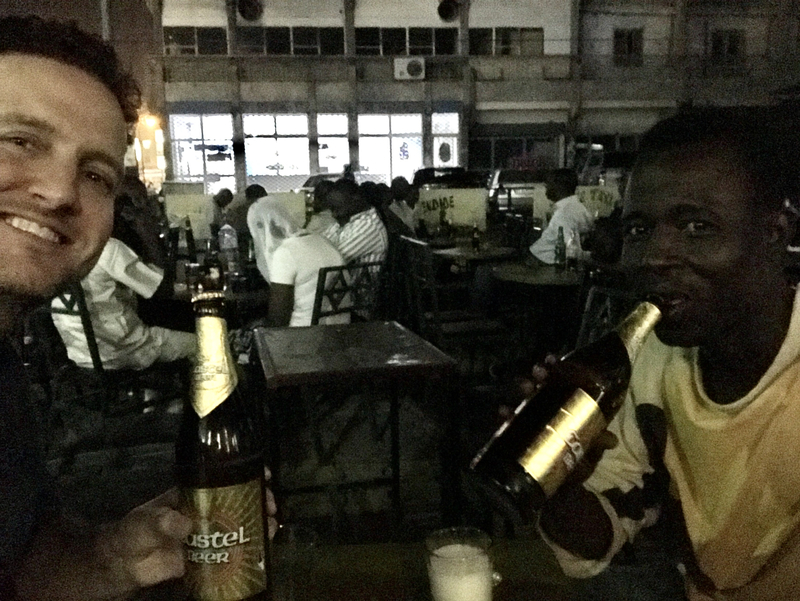 Having beers in Burkina with Moussa. The next morning it was off to the airport to my next destination, Mali. 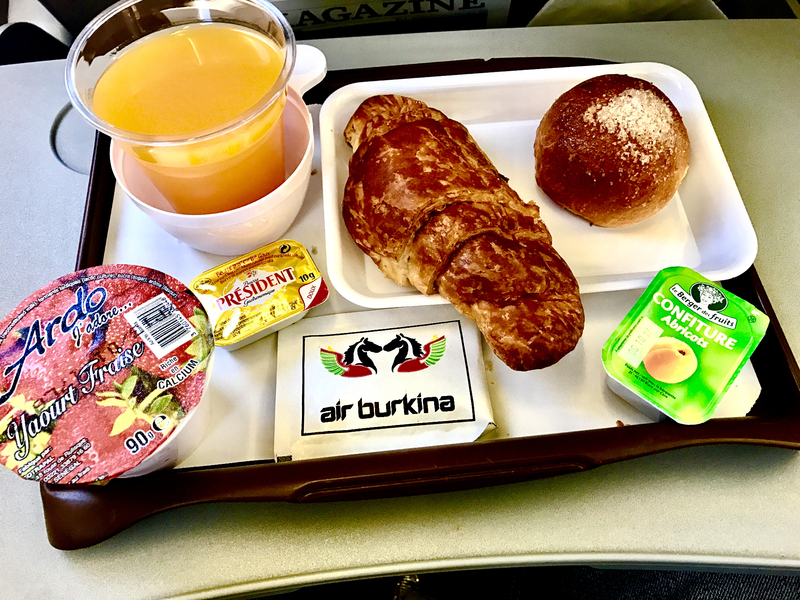 I want to mention how nice it was to be served actual meals on such short flights; a luxury we don’t have in the U.S. We’re lucky if we’re even thrown a pack of peanuts and a soda back home, but on every one of these flights within Africa, no matter how short they were, I was presented with some kind of meal. That sure was nice. Breakfast on this one-hour flight. 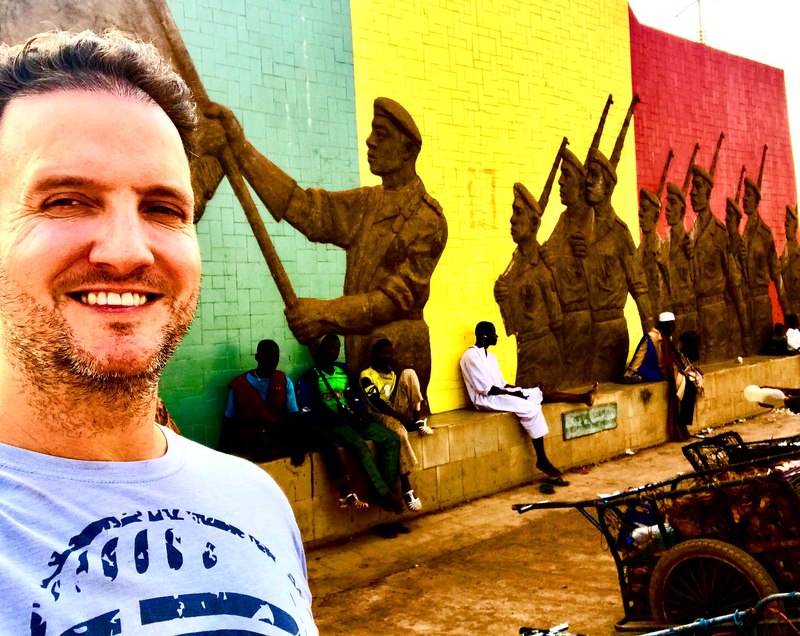 To an American, who’d only knew about Burkina Faso because of the Al-Qaeda incident, my visit to Burkina Faso was a breath of fresh air…a big breath…of very fresh air. Turned out, the bastards that caused such death and havoc at The Splendid Hotel weren’t even from Burkina Faso. How sad that a group of heartless cowards from the outside would be what made this country famous. I’m thankful I got to see the real Burkina Faso. The people were very friendly, normal, folks. They worked, worshiped and cared for their family like citizens of any other country. I hope my visit, and these photos and notes, can show the other side–the normal side–of a very pleasant and beautiful country full of great people. 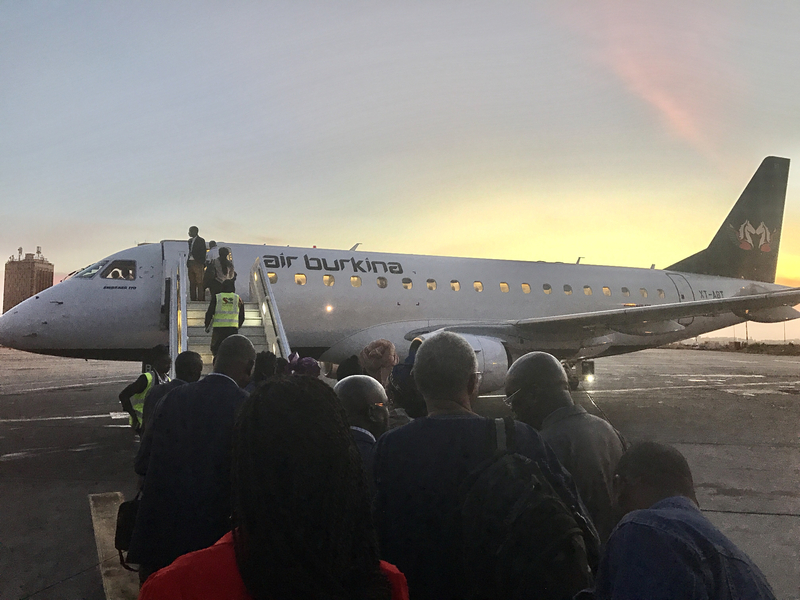 My trip into Burkina Faso was a learning lesson for me: to not let one unfortunate event define an entire country and its people. Inside the Land Rover with Marlon and his crew enjoying the tour! 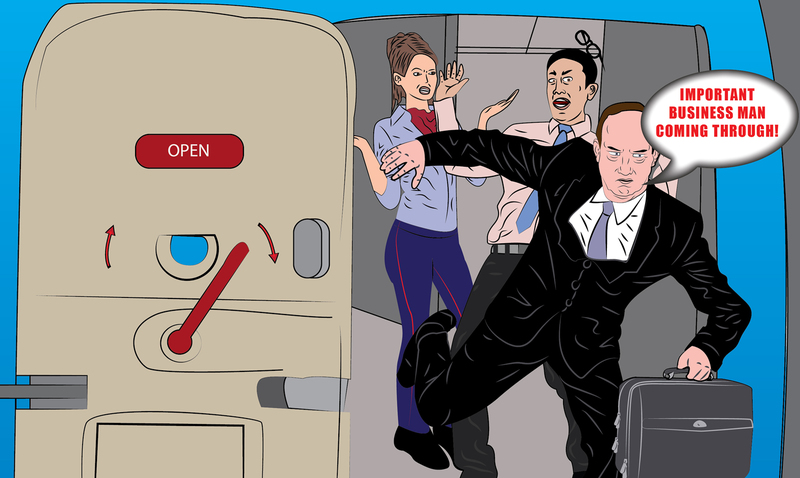 Are You a Flying D-Bag? Answer These 10 Questions to Find Out! I am living in Ouagadougou. Last sunday we did the first anniversary of the terrorist attack of December 15th. Our president has been there in front of Splendid Hotel where he deposits some flowers in memorium of the victims. Nice to meet you my friend! Thanks for coming by and God Bless you. Great article! Thanks for the respect you’re giving to the people. Thanks Marlon!!! Love ya man! 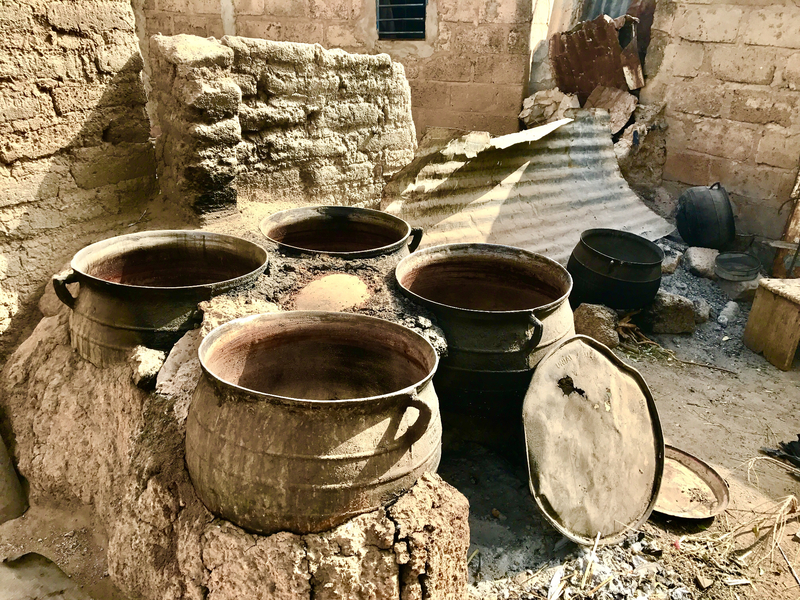 Nice, you missed the craft beer in Ouaga… http://www.ouagacraft.com now its plenty of new beers in town..
Oh noooooooo!!! Next time for sure! Thank you John! But you missed the craft beer in Ouaga… http://www.ouagacraft.com now its plenty of new beers in town.. Although I remember seeing the terrorist attack on the news at the Splendid Hotel when it happened, I want to believe that it was just an “isolated incident” (much like in Algeria and Tunisia) and not a common occurrence in this beautiful country. My first knowledge of Burkina Faso was that Simpsons episode where Bart starts crank calling random countries around the world and then faced charges in Australia. I’ve had an interest in Western Africa for quite some time now. 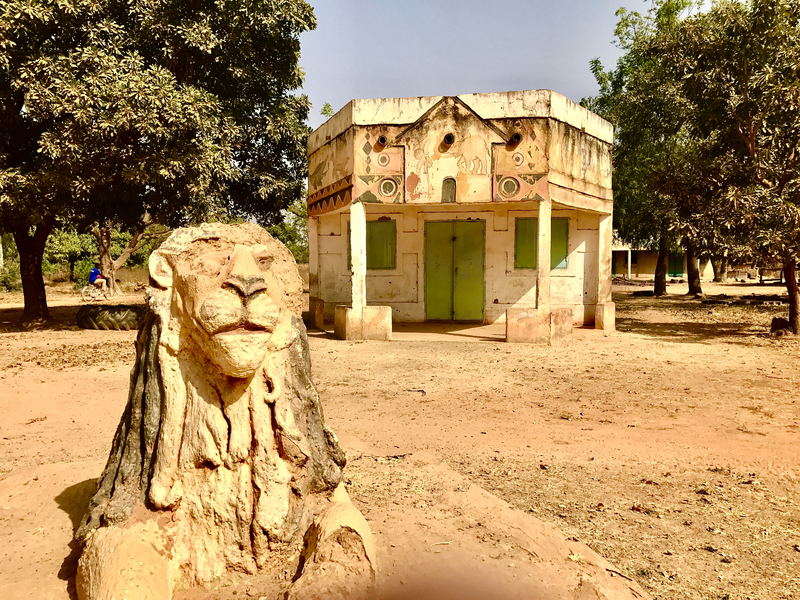 There’s a stellar backpacking tour group here in Canada that takes you along the Voodoo Trail through Burkina Faso, Togo and Benin to learn more about the culture and religion. Bart Simpson, no way?! I have to find that one on youtube!!! 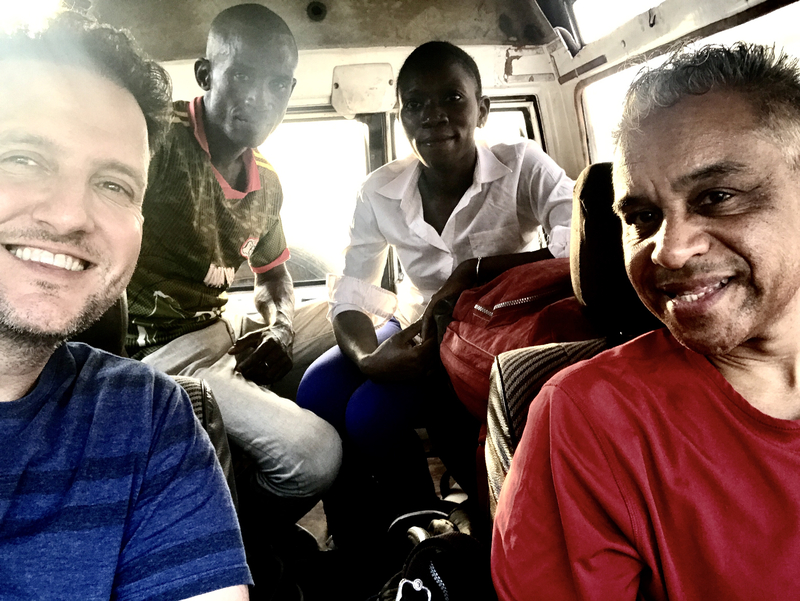 Randy how safe do you think Burkina Faso is currently for a group of 8 (6 girls/2 guys) American Christian Missionary college students? They’ll travel From the capital south for about 13 days & will be there during Ramadan. With the most recent incidents up north & terroists burning schools & insisting they teach the Koran & not secular curriculum. Your thoughts? Hi Sue! Well, for travel with students, I’m definitely not qualified enough to give you a solid recommendation. I can only speak to my experience. 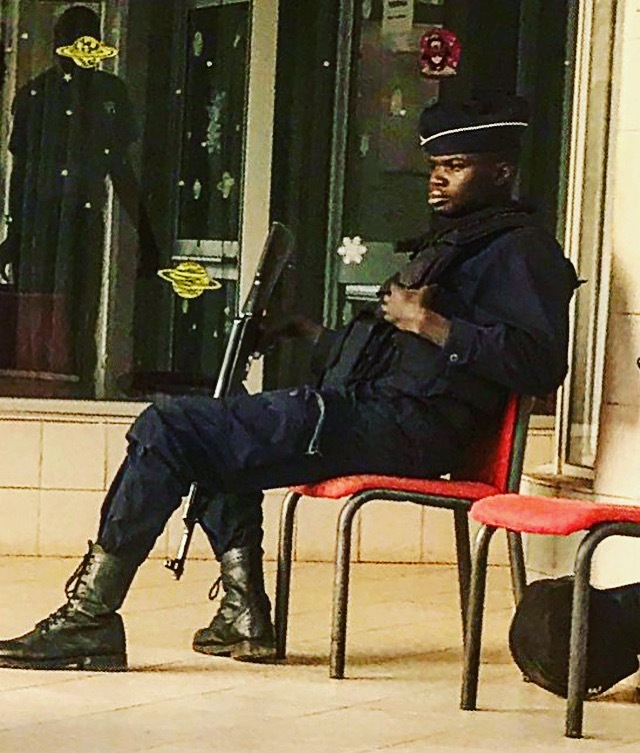 From everything I’ve seen and learned from Burkina Faso, I believe the capital is pretty secure, in general, and it’s just the areas much farther out that you should avoid. But again, I stress that I’m not an expert on the country whatsoever…I was only there for one night! 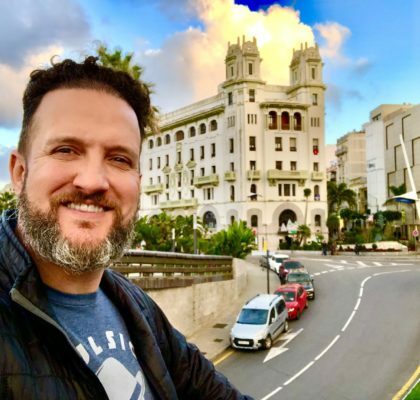 Stay in touch and I would love to know more about your trips and missions, etc.